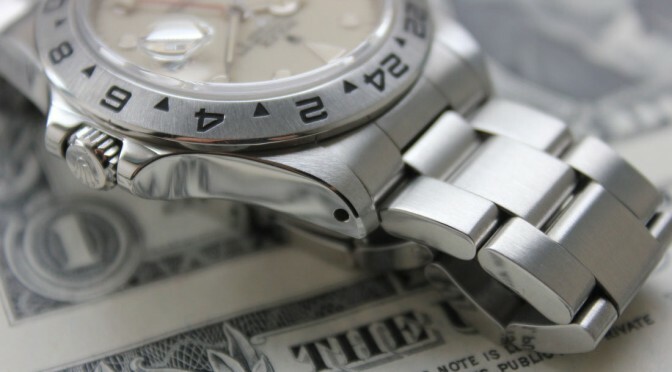 A beautiful Rolex Watch profiled on bloomberg.com. This Rolex Explorer II with a Rare Cream Dial is something to behold! 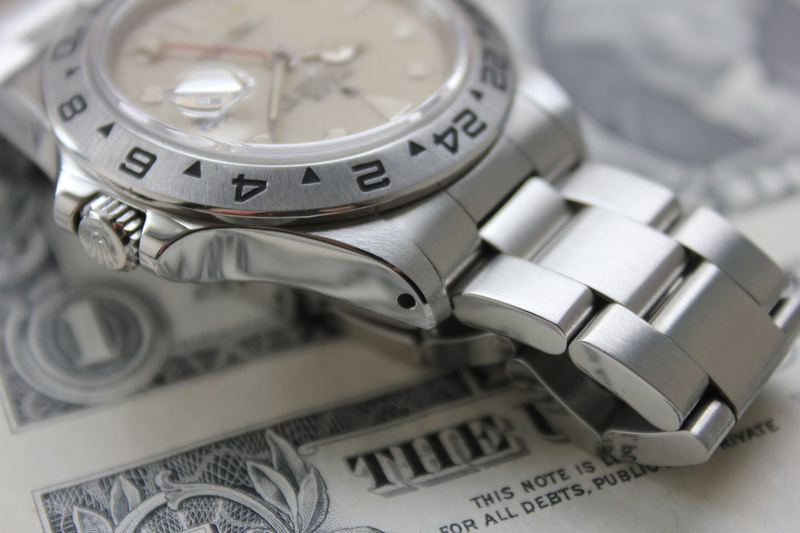 At Jewelry-N-Loan in Costa Mesa, CA we specialize on vintage, pre-owned and collectible Rolex Watches, diamonds and jewelry. If you’re looking for a special Rolex watch, come into our shop on Newport Blvd. in Costa Mesa today! Usually when we talk about vintage watches, we’re referring to watches from before the mid-1980s, when such technologies as quick-set date mechanisms, fade-resistant paints, and sapphire crystals came onto the scene. This watch was created right as the transition to modern materials and production was taking place, and it represents that period of flux perfectly. The cream-colored dial is, in fact, the result of a mistake by a Rolex supplier, and very few of them are still out there. When Rolex decided to change the Explorer II from the original orange-handed reference 1655 to the 16550, they made it look a lot more like the GMT-Master, but with a steel bezel and the option of a black or white dial. Except the early white dials (this one’s from late 1986 or early 1987) came out with this funny cream color, instead of bright white, and they weren’t terribly successful with customers. The error was corrected and ever since, the Explorer II has come in either true black or true white.